The Self-Care for Healing and Mobilization workshop kicked off the annual Queer Conference at California State University East Bay, where schools from all around Northern California gathered on Saturday, March 10. The host, Phiroozeh Petigara, a local yoga teacher and writer, said that people tend to face strong societal messages that contradict taking care of ourselves. “Doing is good, doing more is good, doing three things at the same time is optimal!” said Petigara. But stressing out — and burning out — causes emotional and physical strain. “Stress can be beneficial. It can help people develop the skills they need to deal with possible threatening situations throughout life. Stress is not helpful when it prevents a person from taking care of themselves or their family. You can put problems into perspective by finding healthy ways to cope,” the Centers for Disease Control and Prevention states on their website. Self-care is like “filling our own well,” Petigara said, and it allows us to be there for our communities. Petigara shared introductory self-care techniques for facing everyday stress. “Today, a lot of the things I’ll share fall under this umbrella of quieting down. And at first that can feel very agitating,” said Petigara. First, she said to start with light tapping on the temples, forehead and up and down the body. For what Petigara called intermediate level self-care, it’s good to recognize that quieting down is not always the type of self-care we need. Self-care rituals are adaptable. Sometimes burning off anxiety looks like running on a field or yelling at a concert. Other days it helps to practice acceptance — “I’m just gonna be in bed today,” Petigara suggested. “It’s a good idea to see your self-care as a living, changing thing,” said Petigara. 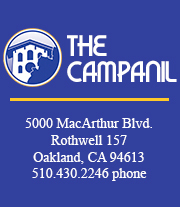 Petigara recommends utilizing other resources at our schools (like Mills’ CAPS program, which offers counseling in-person and emotional support resources online) and at the Oakland LGBTQ Community Center. Stress busters at the Center include QTPOC Gentle Yoga classes and Vogue dance practice sessions, TARRY! Gospel House dance and shout sessions and Trans and Genderqueer Core and Strength class, plus many support groups to talk it out. Visit www.OaklandLGBTQcenter.org/calendar or call (510) 882-2286 for information on events and classes held at 3207 Lakeshore Ave.
“Sound, ground and breath” practice — Take a moment to notice the sound around you, the ground below you and breath in and out of you. Tapping — Use fingertips to gently tap your temples, forehead and limbs. Stretching — Take breaks for gentle stretching, which helps with body awareness and relaxation. Essential oils — Carry small vials of E.O.s like lavender (calming) and peppermint (invigorating) as aromatherapy. Smell them or dab onto a cotton pad, handkerchief or in a diffuser. A tiny bottle of quality organic E.O. can cost $10-20 but lasts a long time. Each drop is very powerful! Body scan — Mentally check in with your body parts one at a time as a mindfulness practice. How to do it: One practice at a time throughout your day, or adopting a full ritual. If you do want to make a commitment, start small. Remember that whatever efforts you’re making are good enough. “There’s no self-care police,” said Petigara.